It is well known that novices have the bad habit of reacting first and thinking later. They blurt out the first thing that comes to their mind with no regard for the stature of the person that they are referring to or his or her achievements in life. The HDFC Standard Life Insurance IPO debuted on the bourses on the same day that Moody’s announced the rating upgrade. In the euphoria that followed, HDFC Life surged like a rocket and tripped the upper circuit. When someone asked Deepak Parikh how he got his timing so perfect, he replied in a deadpan manner that he knew the rating was coming and timed the listing of the IPO accordingly. That casual remark was enough to send the novices into frenzy. They made all sorts of reckless allegations, including that they would complain to SEBI. I have launched complaint against HDFC chairman with SEBI. I request everybody to launch complaint with SEBI related to above video. If the insiders, corrupt and criminals knew and plan their trade or position accordingly, Where’s the transparency? The statement is a slap on SEBIs face. The surprising aspect is that even a luminary like N. Jayakumar of Prime Securities did not see the humor and claimed he was “aghast”. Naturally, the buffoonery amongst the luminaries and the novices irked Samir Arora. “Why are we not able to get the humor?” he asked in a testy tone. In fact such was the storm created that the veteran visionary was forced to put the record straight. “My comments were on a lighter note … Our listing of HDFC Life was today, so it was a coincidence that this report came out last night. We were very lucky this report came out on the day of the listing. For HDFC, we hope that the next round of borrowings would be cheaper. It will give us some basis points’ advantage on borrowings,” he said, vowing to never make light-hearted statements again. Old timers will recall the time when Deepak Parekh had joined hands with Jim Rogers to trash NAMO and his policies. 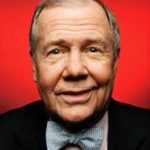 “Cleaning toilets is wonderful, but as far as building the economy or changing India (goes), he has not done very much,” Jim Rogers said in a contemptuous tone. Deepak Parekh matched him word for word. 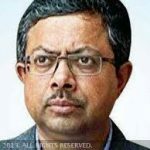 “Nothing has changed in the Modi Raj … after nine months, there is a little bit of impatience creeping in as to why no changes are happening and why this is taking so long having effect on the ground,” he said. This gave junkyard politicians like Sanjay Jha of Congress the much awaited opportunity to malign NAMO. Of course, Jim Rogers was contrite when he realized that he was wrong about NAMO. 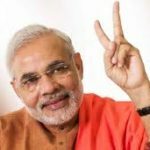 “I am amazed, shocked and stunned on GST ….If Modi continues doing stuff like GST, then not just me, everybody has to pay a lot more attention to India,” he said. 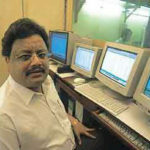 He was also rueful about his premature sale of Indian stocks and the loss of multibagger gains. “I believed that Modi did nothing but talk, hence I sold out of India. The currency and Indian markets have gone up quite a bit after I sold out,” he said, tears welling in his eyes at his own buffoonery. Deepak Parekh has also now turned around and is heaping rich praise on NAMO. 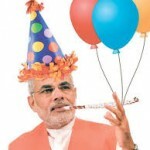 “Modi’s transformational reforms are behind Moody’s credit rating upgrade,” the veteran visionary said with a big smile on his lips. “The rating gives a good signal that India is doing well, and that India’s credibility in the global financial market is improving. Basically, it endorses the government’s economic policies, and the progress made in implementing these policies. This is also the first time we have got a Baa2 rating, which is a big milestone,” he added. He also described the great PSU bank recapitalization as a “great move”. The visionary also gave NAMO and Arun Jaitley full marks for the GST implementation. He explained that the entire exercise of combining multiple taxes was a “hugely complex exercise” and that it was remarkable that it was achieved after 17 years. He also complimented the GST Council for its proactive approach of addressing the problems of the citizens. He also opined that Q1 was an aberration for the GDP and that Q2 and Q3 will be “bumper quarters”. India will soon return to 7.5% he assured. But why are some FIIs courting Rahul Gandhi? One aspect that is baffling is that some FIIs are openly courting Rahul Gandhi. Rahul Gandhi has been in the news for making buffoonery statements. He claimed that GST will “break the backbone” of the Country even though his own party supported its passage through Parliament. He also courted controversy by trying to mock NAMO over an “aloo to sona” machine. The joke backfired because most citizens thought that the concept of turning potatoes to gold was his own and wondered if he had gone bonkers. Prima facie, Rahul Gandhi appears incapable of strategic thinking and does not inspire much confidence. So, the question of him discussing “political and economic challenges India faces and ways to overcome them” with the FIIs appears quite far-fetched. 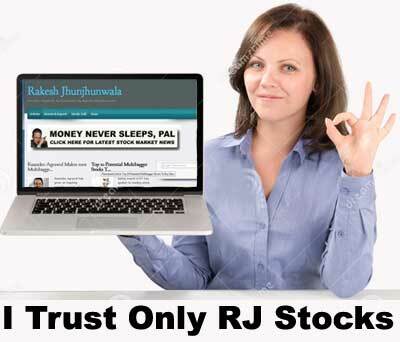 Porinju Veliyath mocked the FIIs for being “misinformed” about India and selling stocks. However, one of his followers pointed out that the FIIs may have been attempting to drill sense into Rahul Gandhi that he should abandon buffoonery and become a credible opposition so as to ensure that NAMO does not stray from the path of progress. If that is indeed the perspective from which the FIIs are meeting RaGa then we have to compliment them for their sagacity! Whatever the Moody;s upgrade, we had to pay 140 bucks for one kilogram small onion, which was 70 around an year ago. Statistics is a white lie. Some things are best left in derstood. Keep quite amateurs. Modi is doing well. If you want to make a lot of money he needs to continue. Massive inflows are coming. So amateurs keep quiet. And are you somebody with a stature similar to Kishore Kumar as an artist ……. Huh? When anything can be bought today (see our Media), you have to take this rating upgrade with a pinch of salt. We have glorious history of how AAA rated Lehman Brothers collapsed within a week of the rating announcement by, either S&P or Moody’s. When economists around the world are raising a hue and cry about the destroyed GDP growth due to 2-3 major govt policy moves, I cannot imagine how things have improved since last review. Today’s news (shown in some small corner of the print media) shows India stands 126th in terms of per capita income! Just shows the extent of resources unutilised or underutilised through wrong policy moves over the last 70 years. Today is no different. Only the top 10 richest are getting richer by cornering the opportunities, middle class and the poor continue to struggle due to rampant unemployment and burden of taxes. Investors need to be careful as we appear to be in that Euphoria stage of the market where govt/analysts/brokers will feed any news as good news. Risk management is vital, else the fall could be fatal. Why do people keep crying just because of their political affiliations? The ratings upgrade is a great news and will reduce cost of borrowing from abroad simple. Why do people keeping crying …like the one you referred to…. Well answer is simple – IGNORANCE! WASHINGTON — As the housing market collapsed in late 2007, Moody’s Investors Service, whose investment ratings were widely trusted, responded by purging analysts and executives who warned of trouble and promoting those who helped Wall Street plunge the country into its worst financial crisis since the Great Depression. A McClatchy investigation has found that Moody’s punished executives who questioned why the company was risking its reputation by putting its profits ahead of providing trustworthy ratings for investment offerings. As Congress tackles the broadest proposed overhaul of financial regulation since the 1930s, however, lawmakers still aren’t fully aware of what went wrong at the bond rating agencies, and so they may fail to address misaligned incentives such as granting stock options to mid-level employees, which can be an incentive to issue positive ratings rather than honest ones. 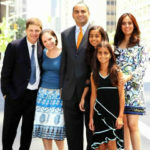 The Securities and Exchange Commission issued a blistering report on how profit motives had undermined the integrity of ratings at Moody’s and its main competitors, Fitch Ratings and Standard & Poor’s, in July 2008, but the full extent of Moody’s internal strife never has been publicly revealed. TOO BAD FOR WHINERS LIKE YOU…… THE WORLD’S FINANCIALS MARKETS STILL LISTEN TO ONLY THE MOODY’S and S&P’s OF THE WORLD AND CONTINUE TO NOT JUST RESPECT THEIR RATINGS BUT BASE THEIR ENTIRE OPERATIONS ON THEM. Moody upgrade is good for India, but it has nothing to do with politicians. Credit should go to lower crude prices which is helping Indian Economy, and crude up rise (if it goes beyond 80 ) can degrade rating again. Such expertise floating around in this pretty much unknown website. 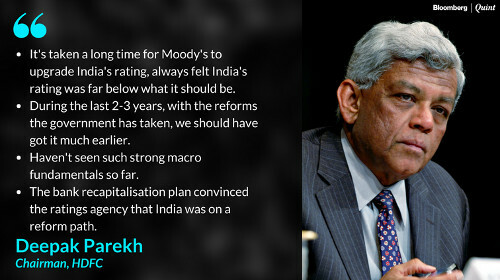 LETS HEAR FROM THEM WHAT INDIA’S RATING SHOULD BE SUPPORTED WITH A BLOODY RATIONALE REASONING. But, what will happen once crude prices firm up and show an upward trajectory. It has crossed 60 already. Sometimes people just need reason to fight, ratings are just ratings. There is no political affiliation to it nor they can change real state of market. When are these investors going to learn market is not predictable, you invest in what you can see by properly managing your risk on investment.